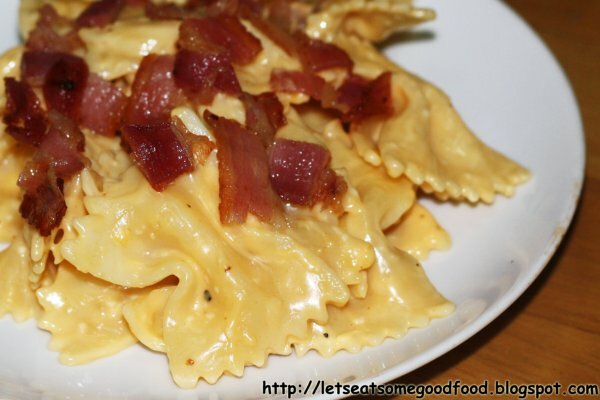 Bacon and Cheese Macaroni Recipe – Eats Yummy! If you are looking for an easy recipe for a snack, search no more for here it is; Bacon and Cheese Macaroni. This easy recipe is one of pasta recipes that is everyone would love. It is also good welcome treat for your husband coming from work, your kids from school or to any loved ones who just came from a rough day. Ana cooked this couple of times already, and I couldn’t get enough. Check out this easy recipe and why we are loving it so much! Fry the bacon until crisp and then chop to bits. Heat butter in a pan then add flour. Stir for few minutes, removing any lumps. Gradually pour in milk and add in cheese spread. Cook with constant stirring until sauce thickens. Mix cooked macaroni and fried bacon with sauce. Stir well to blend. A simple and tasty dish that just can't go wrong. Love it!